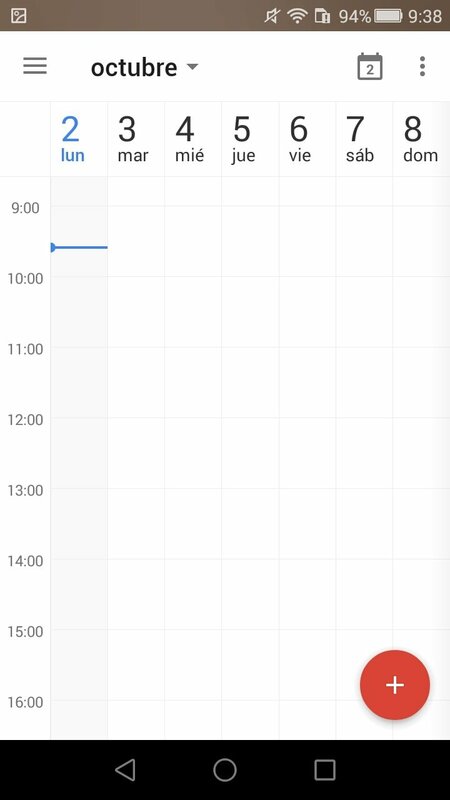 If you use Gmail and other Google products beyond its powerful search engine, you probably already know its wonderful calendar app: Google Calendar. It goes way beyond the functions of a simple calendar, as it's capable of synchronizing with the rest of your apps and even your email account so you don't forget anything in your daily life. With this function, the calendar app is capable of reminding you about any important appointment, event or date. All Gmail events, if you've granted the corresponding permission, will automatically become part of your calendar. Several calendar views: configure the monthly, weekly or daily mode whenever you fancy. Automatically add Gmail events to your calendar. Any hotel or flight booking, concert, restaurant table or any other date you may have saved will appear. Function to create reminders for tasks with different kinds of notifications that you can schedule in different manners. Set targets: want to reach any kind of goal? Maybe more exercise? Tell the application how many times a week it will find a gap in your schedule. Quick creation of events: smart suggestions of titles, places, and people to quickly create events. Compatible with all Android calendars, including Microsoft Exchange. Function to share any reminder. Associate notes or files on Google Drive. One of the best tools to improve your productivity. As you can imagine, all the information you provide to the app will be stored on the cloud, therefore, if you access from other devices, you'll also be able to check it: from your iPhone, other smartphones or other tablets. However, there's no such thing as a desktop version for PC or Mac as the company offers all its services online. Nevertheless, you won't have to muck around with APKs and Android emulators because you can download the official Chrome extension so you'll be able to access your calendar from your computer whether macOS, Windows or Linux. And don't forget that there's also a web version.